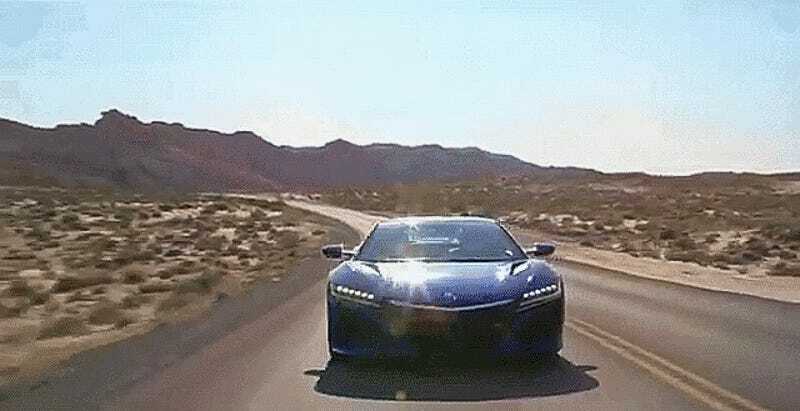 Acura just dropped six minutes of what appears to be b-roll advertisement footage for the almost-new NSX, except there’s one glaring problem: it’s completely silent. What the hell Acura. The only time I got goosebumps from a silent video was when Tom Hanks was storming the beaches of not-Normandy. And that was only a few seconds, which I can easily tolerate with enough explosions and drama. I wish it wasn’t so, but looks alone isn’t enough to make an awesome NSX video; I need to hear it. Feel it. Since you failed to accomplish the easiest of avenues to the heart of an enthusiast, the ears, I’ll help us all out. Play this seven minute video of the Ferrari 250 GTO we posted a week ago, and then scroll up and play the NSX video. They actually time up pretty well if you do it in that order. At least for the first few minutes. Full-screen for full effect. Disclaimer: the NSX can never hope to be as much of an expirience as that GTO, so while it will sound nice in this instance, don’t expect the actual NSX exhaust note to be anything nearly as stimulating.